Today's Personal Injury 101 is all about compensation. The Collateral Source Rule ensures that money awarded to a plaintiff in a lawsuit will not be reduced if he or she receives additional compensation for the same injury from another source. That other source will typically be insurance, workman's compensation or Social Security. Nevada has adopted a "per se" rule that bars the admission of a collateral source payment for a loss or injury into evidence for any purpose. One purpose of the rule is to make sure it is the injured party who gets the benefit of having purchased insurance, not the party inflicting the injury. In 2012 the Nevada Supreme Court reaffirmed that payment from worker's compensation is an exception to the collateral source rule. 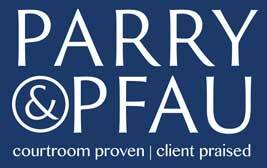 The specifics behind this exception are confusing so be sure to contact a qualified attorney, such as a member of our team at Parry & Pfau, to go over your case. Newer PostPlayground Injuries: Who's at Fault?